The Indian Premier League (IPL) 2019 has already witnessed 14 matches and cricket lovers are desperately waiting for the 15th match which will be played between Rohit Sharma’s Mumbai Indians and Mahendra Singh Dhoni’s Chennai Superkings. The match of Mi vs CSK will be started from 8 pm onwards and viewers can watch the live streaming or live score on multiple channels or mobile apps for free. Mahendra Singh Dhoni’s player will not lose any opportunity to retain the first position in IPL 2019 Point Table. Yes, Chennai Super Kings (CSK) is the only team in the ongoing IPL, which has not lost a single match. Talking about yesterday’s match which was played between Rajasthan Royal (RR) and Royal Challengers Bangalore (RCB), Ajinkya Rahane’s team has finally managed to win the first match in this IPL by defeating Kohli’s team by seven wickets. 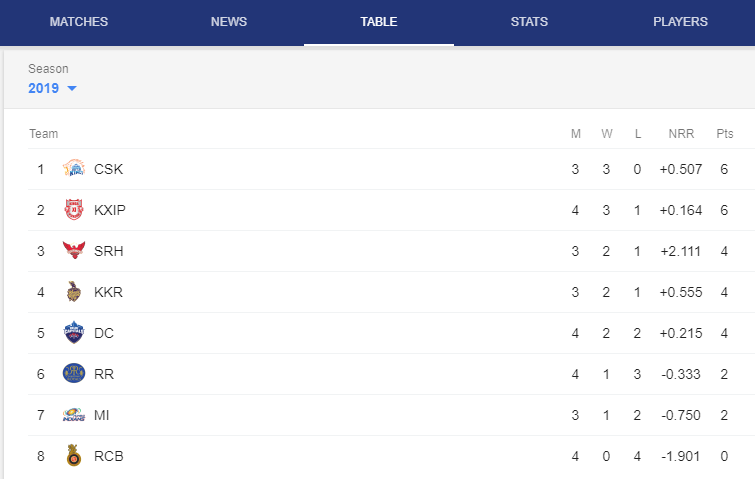 Notably, RCB turned out to be the worst team of IPL 2019 as they have not won a single match as of now. On Wednesday (April 3) the match will be played between Mumbai Indians vs Chennai Superkings. The match will be started at 8 pm in India at 3:30 pm in the UK. It is to be noted that this would be the first match of IPL 2019 to played in Mumbai’s Wankhede stadium. Talking about Indian viewers, they can watch IPL 2019 live streaming for free on a television channel Star Sports, which has the right to telecast IPL 2019 and will broadcast Mi vs CSK match live across its network. The live streaming online of IPL 2019 will also be available on popular mobile application Hotstar and website. The BT Sport trail version will allow you to watch all of the BT Sport channels via their app while casting to your television is also included. If you are thinking you money will be deducted once I enter the credentials, you should not that you can cancel the trial at any time. You just have to type another message STOP SPORT and send on the same number.